Last month we showed where 13,298 leads came from. If you missed it you can check it out here. This month we are back with more real estate investor lead generation stats and data. We are doing these monthly write-ups to show you exactly where our customer’s leads are coming from (screenshots and all). 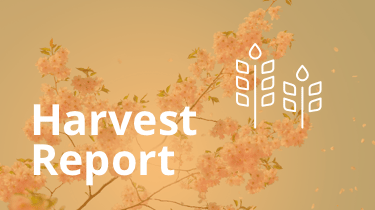 We are excited about this second installment of what we are calling our “Harvest Report”. 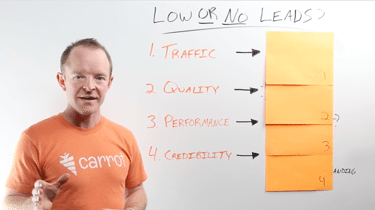 What types of leads are they? The leads we are showing are motivated seller leads, cash buyers, rent to own tenants, note sellers, and some private lenders mixed in there. The cash buyer, rent to own tenants, and motivated sellers make up the bulk of the leads you’ll see. Do these leads include people who called on the phone? Nope, the numbers you’ll see on this page are ONLY leads where the seller, buyer, tenant, etc. put in their information into one of our InvestorCarrot members websites. Right now we can’t track phone call leads on members websites, but from our surveys and talking with customers, that is likely another 2,000-5,000+ leads per month coming in from phone calls. But for the sake of this post, we’re only going to show what we can back up by data… and since we can’t currently track phone calls our customers receive… we’ll leave those leads out for now. What are leads that show up as “Direct” in the stats? Great question! 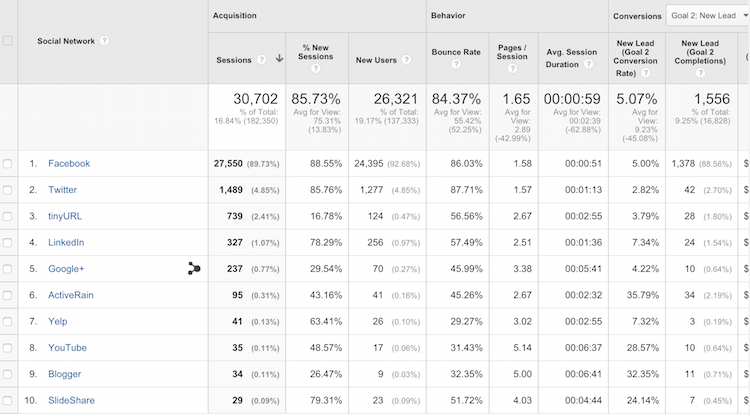 Google started showing a huge hunk of traffic in Google Analytics as “Direct (none)” a while back. In the past, “direct” meant that the person actually put your URL into the browser and went to your website. But now Google is mixing in a huge number of visitors that actually came from Google searches. Some studies show that 60%+ of the traffic that shows as “direct” is actually from Organic Google search. Google just does a good job of hiding that from us for some reason. So for the sake of this post, we’re going to say 60% of the “direct” lead source is actually SEO related. Where Did The 16,828 Real Estate Investing Motivated Property Seller, Cash Buyer, Rent To Own, And Private Lender Online Leads Come From In The Past 30 Days? Real Estate Investing Lead Breakdown… this snapshot shows the breakdown of leads generated in the past 30 days through InvestorCarrot. The traffic sources are close to what they were last month. The biggest difference being the volume has picked up since July (as is the trend that we see almost every month as our members continue to leverage our platform to grow their businesses). There are a number of contributing factors to this, including the number of new investors using our platform and those investors plus all Carrot customers implementing SEO, PPC, and other traffic generation strategies on their sites. Again, we don’t show these numbers to brag, although we are proud of our members and the numbers they’re pulling! We have transparency and honesty baked into our Core Values and if this data helps you ramp up your inbound marketing for your real estate business then we are more than happy to help. But for now, we have more exciting data to share. As you can see, the vast majority of the online leads in the past 30 days are from organic SEO…the heart of inbound marketing (especially when you add in 43% or so of the “(direct)” leads which are also likely from organic traffic in Google. Google won’t give us the specifics on this data, but another chunk of the “(direct)” lead are likely from Craigslist ads. They show up in the “(direct)” section because Craigslist doesn’t allow live links in real estate ads any longer in the majority of cities… so people have to copy and paste the URL into the browser to go to the website… which would make it a “direct” link to the site. We started seeing a trend in our data about 6 months ago. Although this isn’t a big surprise to anyone, it definitely is something real estate investors need to be aware of. We are talking about a mobile-friendly website. So, I know I just said that “mobile is the future”… but in actuality… it’s already here. 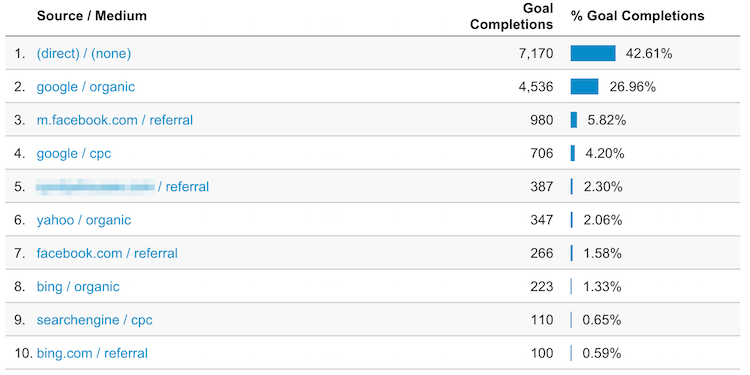 Over half of the leads coming through our platform are from mobile devices (cell phones, tablets, etc. )… and that trend is increasing. 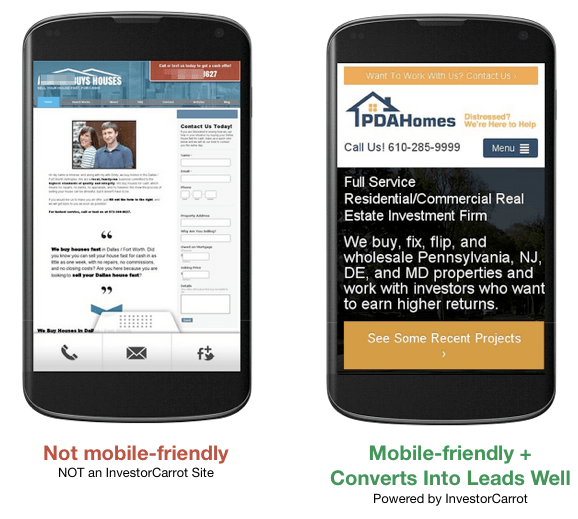 Mobile Leads…this is a huge opportunity for real estate investors to capture and convert leads. If your site is mobile friendly, you could be missing out on 50% of your leads. We have seen a big uptick in leads opting into our members’ sites using mobile and tablet devices. We shared why this is happening in a call that you can view here. We love seeing our customers achieve success and we know in order for that to happen three things need to happen. Websites must look great on mobile devices, be fast and easy to navigate. That’s why we have put a lot of thought and effort into our mobile websites to ensure they give our customers the best chance of capturing online leads. Our customer’s websites perform extremely well and depending on the market see a higher conversion rate than desktop. If your website is not responsive AND mobile friendly you need to get a web developer to help you out or move your site to an expert platform like Carrot. As an example, what would you rather engage in if you were a person visiting one of these two websites? 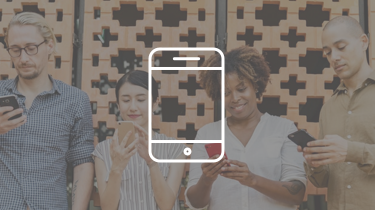 Mobile “Responsive” Is NOT Enough… Most investors with websites now know you need a website to be “mobile friendly” according to Google. But that’s not enough. Your website should convert visitors into leads well on mobile devices (cell phones, tablets, etc. )… does your website convert well on mobile? Not sure if your site is responsive? Check it out here using our Carrot responsive testing tool. Craigslist leads are almost impossible to track on our end because the majority of our members just put their website URL in the ad rather than a tracking URL (as mentioned above). Because Craigslist doesn’t allow clickable links in ads in the real estate section for the most part any longer, the prospect has to copy and paste the URL into their web browser. So these visitors and leads show up in the “(direct) / none” group of leads as well. But we do know that Craigslist has been a really solid lead source for our members over the past year for rent to own tenant leads, cash buyers, and on a lesser degree motivated sellers. Our Posts to Profits Craigslist Training our InvestorCarrot members have access to dives into our strategy on how to turn Craigslist into quality online leads and deals. We do find that the conversion rate on a Craigslist visitor is lower than SEO or PPC, but you’re able to pull a volume of leads out of Craigslist. You just need to make sure you have a system built into your website to automatically qualify your leads better so you don’t have to waste time on tire kickers. Facebook marketing hasn’t been a huge focus for most of our InvestorCarrot members, but increasingly we’re able to leverage Facebook effectively to generate cash buyer and rent to own tenant buyer leads. In the snapshot above, you’ll see that Facebook has generated the most traffic and leads (the leads are the far right column) than any other social media platform by far. But some people are starting to leverage LinkedIn, Google+ and even sites like Slideshare and Yelp effectively to add onto their lead sources. We teach how to leverage Slideshare and sites like Yelp effectively as a part of the overall mix of online marketing in our 3 Lead Per Day Training course. 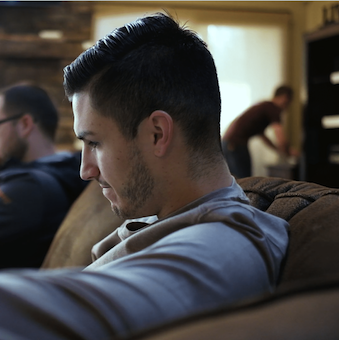 If you’re interested in leveraging our Inbound Online Marketing platform at InvestorCarrot, our training, and our support team, take a demo or check out our plans. This is a hosted website with content but NO traffic. Hey Larry! Thanks for reaching out. I just took a look at your website and you definitely need to get a redesigned website that is geared to convert the visitors once you start driving traffic. Check out our https://oncarrot.com/16-point-real-estate-investor-website-conversion-rate-checklist/ resource that walks through 16 ways to improve the conversion rate of your website. That current site you have won’t perform well once you start driving traffic to it… it’ll be a “leaky bucket” for you. So your first line of action is to get a site setup that will perform well. Then focus on traffic. If you want help driving traffic we have great training on that or services where we can do it for you. We’re not cheap but we provide the highest Return On Investment and strive to always keep it that way.